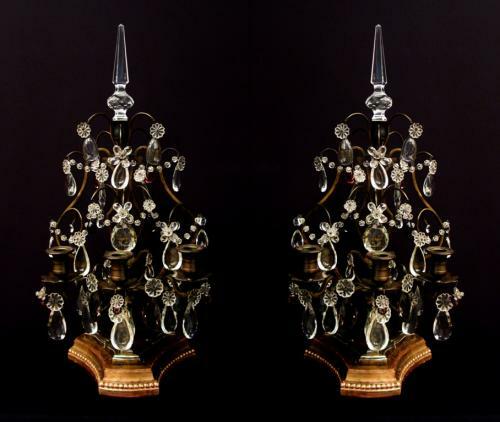 A pair of patinated bronze and crystal girandoles, the tripod open base supporting a lyre shaped frame projecting three arms of light, profusely hung with crystal and amethyst tinted crystal plaques, tear drops and rosettes, in the Louis XVI style. Resting on a carved and moulded gilt wood plinth. French Circa 1870.